These should work for the Mpow Flame, Mpow D7, Mpow H5, Mpow 059, Mpow R3, and Mpow Bass, as well as most other models not listed. Most Mpow headphones and earbuds use a shared "MFB" [Multi-function Button] for Power On/Off and Bluetooth pairing, sometimes labeled "MPOW". Press the “MPOW” button for about 5 seconds until the LED begins flashing red and blue. Some Mpow headsets and speakers will go into pairing mode automatically when turned on, if not already paired to a device, and may just flash with a blue light. Android. Go to Settings and turn on Bluetooth. In Bluetooth click “Pair new device”. When you see your Mpow headphones or speaker come up in the list, tap it and it should be paired with your phone. If it asks for a code, enter "0000". iPhone. Go to Settings and then Bluetooth. Turn on Bluetooth. Look for your Mpow headphones under “OTHER DEVICES” and tap on it to connect. If it asks for a code, enter "0000". MacOS. On your Mac, choose Apple menu > System Preferences, then click Bluetooth. Select your Mpow headphones from the list, then click Connect. If asked, click Accept. When the Add a device window comes up, click “Bluetooth”. Look for your Mpow headphones in the list and tap on it to connect. Alternatively, search for “Bluetooth” in your Windows search box. When the Bluetooth & other devices window comes up, make sure Bluetooth is on then click “Add Bluetooth or other device” and select your device from the list. When you have successfully paired your Mpow headphones to your phone or laptop, the LED on your headphones will stop blinking. If you have followed the steps above and your device still isn’t pairing, try clearing your existing paired devices and re-pair your headphones or speaker. You can do this either by long pressing the MFB button while charging until the blue light flashes 3 times or by holding down the MFP and Volume + buttons for four seconds (which oe works varies by model). If this doesn't work, get more ideas in our detailed guide on how to fix Bluetooth pairing problems. Looking for a new pair of headphones? 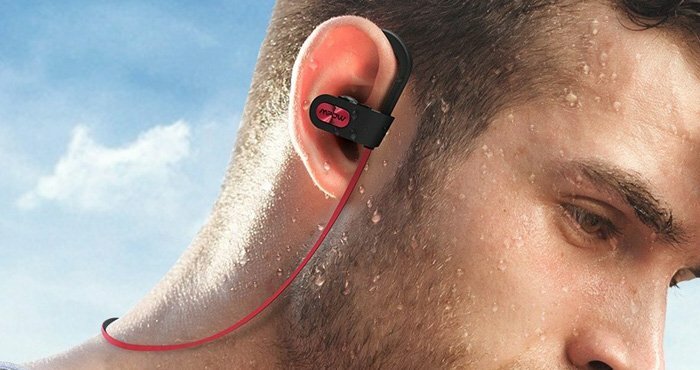 Take a look at our picks for the best Bluetooth headphones under $50. I have a mpow s/n 18D11 earpiece and cannot figure out how to get it into pairing mode?? I’ve got my headphones in pairing mode, but it’s not showing up in the list of available devices in my phone. Any advice? Did you try our troubleshooting steps? Did you try troubleshooting steps in #4 above and in our guide for how to fix Bluetooth pairing problems? please help. how to connect new meow headset to panasonic land line phone model KX_TGEA-40. is it possible ? Does that phone have Bluetooth? Not clear how you’re trying to pair it. It doesn’t look like the Panasonic KX-TGEA40 has Bluetooth?